Bricoydeco transforms a small office and adds a stylish touch by spraying wall clocks with Pinty Plus Tech Stainless Steel spray paint. COLOUR – FUN – WILD – CREATIVE! Why not change the colour and effect of your Christmas tree? It’s easy, take a look! Here is the promotional video, but you can find further information in our blog post. You can create this effect using a can of Pinty Plus universal Primer and a can of Pinty Plus Chalk Spray paint in your choice of colour. Watch this tutorial to find out how it’s done. To capture the attention and imagination of the trade fair goers, a tactile, hands-on approach was adopted by the Novasol Spray Team in Valencia. The space allowed demonstrations to take place amongst the already painted multi-coloured sets, showing various finishes on an assortment of items including a fridge. We were lucky to have Mari Luz blog Brico and Deco in attendance, who in addition, explained each process in detail. The Novasol Spray Team also solved the most common questions that customers ask in store. Create this effect with Pintyplus Chalk Spray paint. Our video shows the technique. This creative effect was developed using Pinty Plus Tech Forge spray paint in red, blue and green. You will also need salt, a plastic bag and a letter or other object to spray. This tutorial will provide you with a new skill for creating a “rust effect” finish on your decorating projects. Brought to you by Bricoydeco. We hope to enjoy it. Using Pintyplus Chalk Spray Paint and a stencil, plus ribbon. Spray varnish water based Pintyplus. A card or wooden letter. Need New Cupboard Door Knobs? It’s easy with Pintyplus Evolution (Turquoise). New colours will be available soon. Using Colourless Primer for Plastics and Pintyplus Evolution spray paint (Gloss Antique Pink). It remains Flexible! 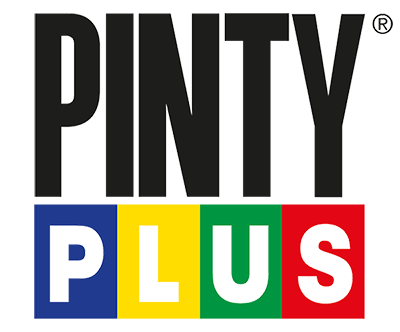 Pintyplus Evolution is the solution. Ensure the control knobs are thoroughly clean and grease-free before starting. It’s easy to achieve a professional finish and update the look of your microwave with quick drying Pintyplus Evolution spray paint. The time has come! The most important character has finally the pleasure to present his family: Novasol Spray. The family is forever growing! Two cans of Chalk Spray Paint (apply two coats) is all you need to achieve this look. It’s best to choose a still day to spray outdoors to avoid wasting paint…it was a bit breezy when this video was made! Follow this video to find out how to transform your Acrylic table into a more unusual and attractive piece of furniture. You will need; Masking Tape, Pintyplus Evolution aerosol Cream and Pintyplus Evolution aerosol Silver and an Acrylic table that has been thoroughly cleaned and dried. 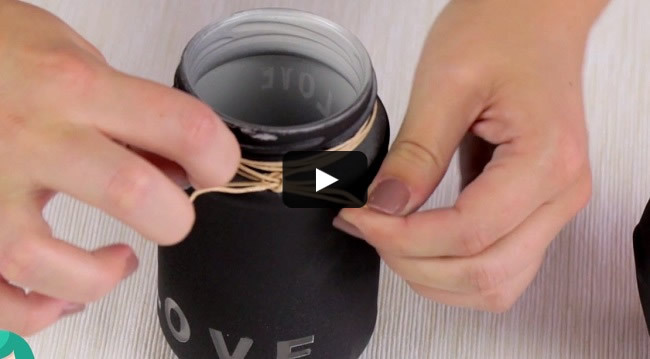 How to make a DIY candle holder from a glass jar and personalize it using our Forge Spray paint. 1) With the screwdriver dismount the barbecue. 3) We clean with a cloth and alcohol to remove remaining dust. Step 2: Paint the barbecue and the metal parts. 2) Let it dry long enough as indicated on the package. Step 3. Mounting the bbq. We light the barbecue so it will progressively take temperature and it will let the paint to reticule with the heat and to reach to the maximum performance. Congratulations! Enjoy your restored Barbecue. Marta from the 2nd FUNNIEST THING explains how with three easy steps we can give a forge antique effect to an object. And the lamp or the object you want to transform. 1) With the help of the pliers we remove the glass. 2) We remove the handle and all that is superfluous. 3) Sand the all surfaces to be painted. STEP 2. Paint the lamp with Forge Paint. 1) Shake the can for 1 minute after we hear the mixing balls. This step is important because the Forge effect needs quite a shake. STEP 3. Reassemble the lamp. 1) Check the paint is completely dry. 2) We remove the masking tape. 3) Assemble the handle and crystals. Congratulations! Enjoy your lamp with a forge antique effect. Marta from the second FUNNIEST THING explains who with only three easy steps we can create one marbled effect box very decorative. Put the masking tape on the edges and on the sides. STEP 2. Prepare the paint. 2) From 20 cm we will spray the water surface with the three colors that we have chosen: one to the left other to the right and the last to the center. 3) With a stick we will mix the colors to create the marble effect. It is important to move fast in this step and not allow the paint to dry. STEP 3. Decoration of the box. 1) Once achieved the desired decoration we close carefully the surface of the box to the surface of the water and we let to enter in contact with the paint which is in suspension on the surface of the water. 2) Slowly lift it from the surface. 3) Let it dry for a few minutes. 4) Repeat the action on the other sides. 5) Let it dry and remove the masking tape. Congratulations! Enjoy your new Marbled Box!